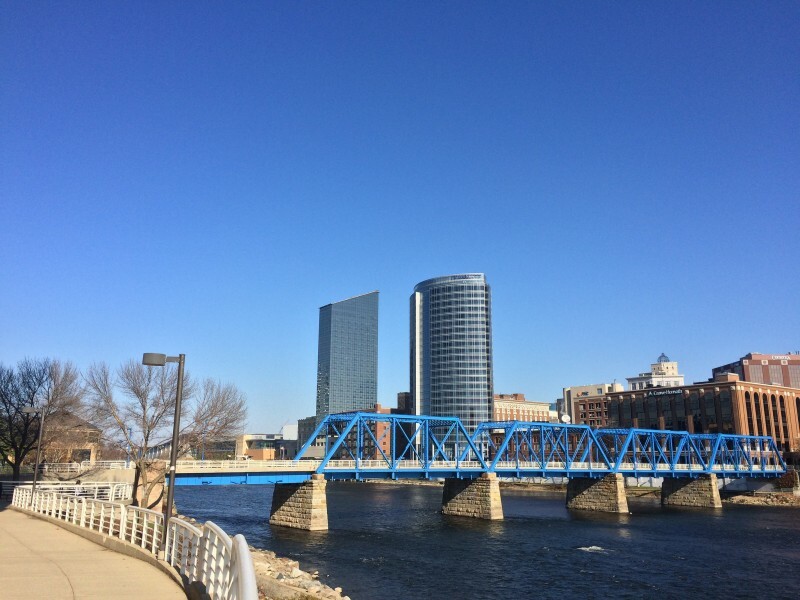 In 2011 a group of activists, coordinated by Kaufman Interfaith Institute at GVSU, petitioned Mayor George Heartwell to proclaim 2012 “The Year of Interfaith Understanding” in Grand Rapids. No other city in the history of the world had every dedicated a full 52 weeks to such a lofty goal. The response was impressive. Between January and December over 200 events took place; not only at churches, synagogues, mosques and temples, but at museums, theatres, and other artistic venues. The message was clear: Regardless of our various theologies (or anti-theologies) Religion plays a significant role in shaping us—both as individuals and as a society. And since we have to live, work, play, go to school and engage in government together we might as well learn at least something about the very powerful traditions that motivate us. The interfaith movement has been misunderstood over the years. Often people think that those of us involved must modify our personal views to accommodate everyone else. This is incorrect. People who believe that their religion is the only one that is truly “sanctioned by God” need not fear that they will be required to water such an opinion down. What is important is that those who hold such views have a clear understanding of who their neighbors are, stripped of stereotypes. There are still way too many people who believe that Islam is an inherently violent religion, that a cabal of Jews controls the economy, that caste bigotry is sanctioned by Hinduism or that all Christians are Bible thumping hypocrites. After the success of 2012 we proceeded to work with the momentum gathered and plan for a follow up. So a few years later Mayor Heartwell officially proclaimed 2015 as “The Year of Interfaith Service.” The goal was to integrate as many faith communities as possible in providing hands on assistance to a variety of nonprofit organizations and other noble efforts. During that year there were activities such as interfaith building projects at Habitat for Humanity, a creek clean up, efforts to work with hospice groups, and several more. While the year ended, as they usually do, the fire in our collective bellies to continue did not. So we are committed to make every year one of selfless service. Spiritual leaders, college representatives and nonprofit heads continue to meet regularly to find needs and the best ways to meet them. This leads us to the specific subject I’m writing about today. It is understood that bigotry is formed early in life. Children who are exposed to diversity have a hard time losing that frame of mind. So if, say, a Jew has positive experiences with Muslims at a young age and later as an adult sees an atrocity committed by Islamist radicals he or she will more easily understand that terrorists do not speak for Islam. This is why Kaufman’s Interfaith Service Council’s subcommittee on engaging youth is now planning an Interfaith Service Day Camp this summer. During the week of July 31-August 4, 2017 we will be working with a group of middle school aged kids representing a variety of congregations. Our goal is to provide 3 elements to every day during that week: education (touring different houses of worship, hearing lectures about the religions), service (volunteer efforts for local nonprofits) and recreation (just having fun). We hope to have a group of about 30. The days will run from 8:30-3:30 with lunch provided. When feasible, the meal will be served by communities they will be visiting on any given day. We are asking for donation of $50 per child to cover food, transportation and entrance fees for recreation centers. If you have any questions please contact Jay Kales ([email protected]) or Greg Lawton ([email protected]). You may register at https://goo.gl/uNDbOf by July 20.